LONDON, 2016-Jun-29 — /Travel PR News/ — England and Spain have a new happier connection thanks to the launch of British Airways flights from London City Airport to Alicante. As the two countries commiserated on their joint exit from the Euro 2016 football finals last night, customers were celebrating the start of the new four-times-a-week service from the Docklands airport to the Costa Blanca gateway. Captain Sarah Shillabeer even managed to borrow a Spanish flag to fly from the flight deck on the inaugural service. 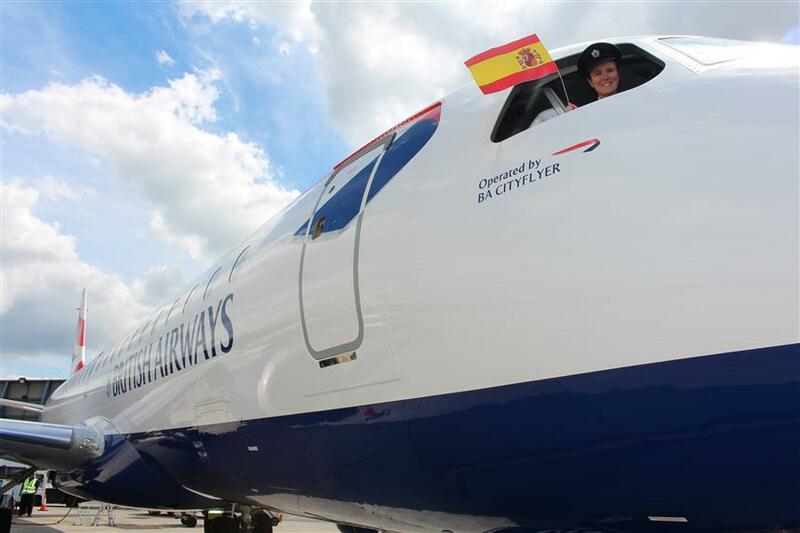 The addition of the Alicante route to the schedule means British Airways will fly up to 63 flights a week to seven Spanish destinations from London City this summer. Matthew Hall, Chief Commercial Officer at London City Airport, said: “Alicante is the gateway to a stunning part of the Spanish Mediterranean and an excellent addition to our offer of leisure destinations this summer. From the conveniently located London City Airport, passengers can escape on this British Airways service to the buzz of balmy nightlife and café culture or the relaxation of Costa Blanca beaches and a round of golf. This entry was posted in Airlines, Airports, Flights, Transportation, Travel, Travel Services, Travelers and tagged British Airways, flights from London to Alicante, London City airport, Luke Hayhoe, Matthew Hall. Bookmark the permalink.